​Audit report under section 44AB​ for the assessment year 2016-17 in the case of a corporate-assessee or non-corporate assessee (who is required to submit his/its return of income on September 30, 2016). ​Annual return of income for the assessment year 2016-17 if the assessee (not having any international or specified domestic transaction) is (a) corporate-assessee or (b) non-corporate assessee (whose books of account are required to be audited) or (c) working partner (of a firm whose accounts are required to be audited). 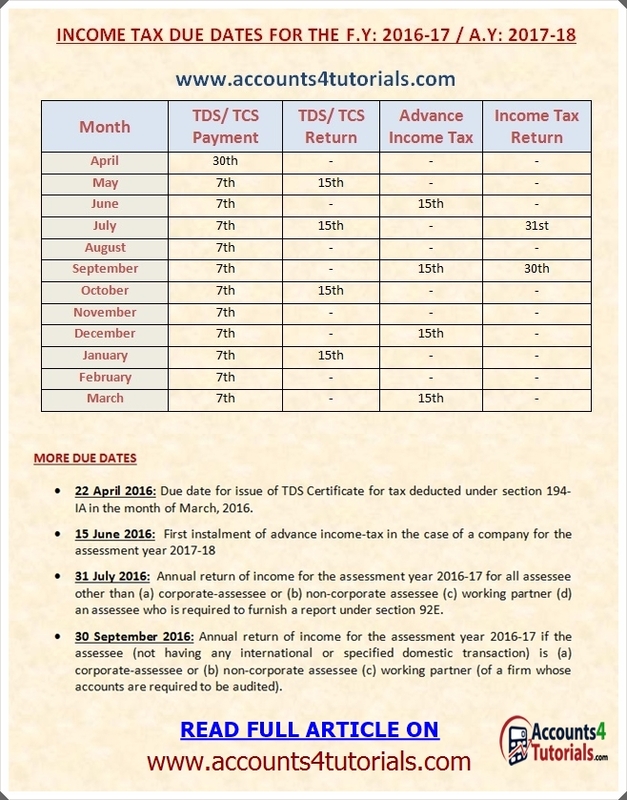 ​Due date for issue of TDS Certificate for tax deducted under section 194-IA​ in the month of September, 2016.